Carnatic music is like the Rubikai??i? ?s cube. Only a few practitioners of the art are able to ai?? ?get itai??i??. The rest of us gyana soonyams (dimwits) donai??i? ?t have a clue as to what permutation or combination of the sapta swaras can make or unmake a raga. us by launching into a discussion on Harikambhoji or Hanumatodi. Letai??i? ?s begin with ragas. Literally, they mean ai???coloursai??i?? or ai?? ?hues of emotionai??i?? the mind experiences when you listen to harmonies. 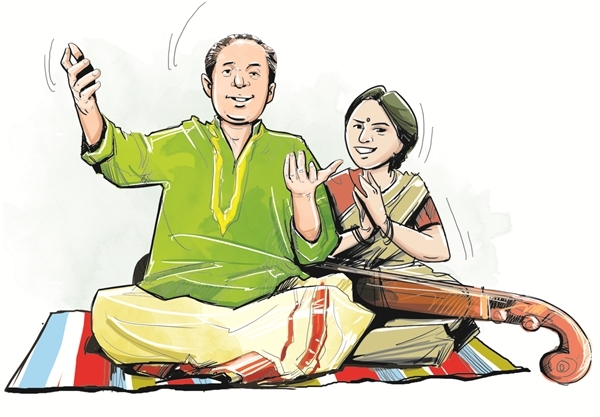 While mathematically there can be 5,040 fundamental ragas, the masters of the craft have identified 72 melakarta ragas (parent melodies). Within these, there can be potentially 26,864 janya ragas (offshoot melodies). 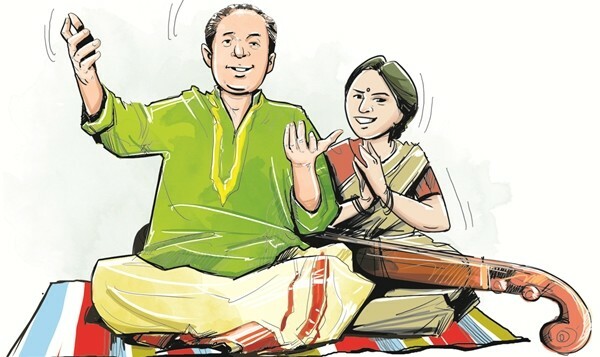 Around 950 janya ragas have been discovered, till date. Saint Tyagaraja was considered a super dude, because he composed songs in 212 ragas and invented 66 new ones. In stark comparison, the maestro of our age Illayaraja has one raga to his credit ai??i?? Rajalahari; the genius Balamurali Krishna has 18 in his kitty ai??i?? including one dedicated to our former CM (Jaya Jaya Lalithe); and Pandit Ravi Shankar has an incredible 30. letters:Ai?? K, T, P, Y. Incidentally, theyai??i? ?ve been named Kanakangi, Kokilapriya, Kiravani and Yagyapriya. Kiravani, by the way, decodes to ai?? ?voice of the parrotai??i??. And is also the name of a Telugu music composer. Kokilapriya (cuckoo), Rasali (eagle), Hamswadhwani (Swan) and Chakravakam (Brahmany Duck), are the other bird-themed ragas. 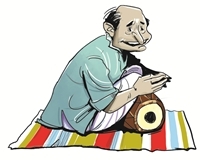 Since composers were often inspired by religious devotion, many ragas are open tributes to gods. Kharaharpriya (one who defeated the demon Khara) and Gowri Manohari (one who stole the heart of Parvati) are Shiva-centric. Shanmukapriya is an ode to Muruga. Raghupriya and Ramapriya are inspired by Lord Rama. Varunapriya and Amritavarshini are paeans to the rain god. I suspect that many Tamil actresses have been named after ragas. Bhanupriya, Manorama, Revati and Madhavi come to mind. At least, director K Balachander had a penchant for naming his lead characters so. OneAi?? gathers that he tried that trick in Apoorva Ragangal, Sindhu Bhairavi and tele-serial Sahana. Hope that gave you enough to chew on when you gorge on the sabha sappadu, this season!